A diner from Seattle, WA tried it. An American (New) food lover from Chevy Chase, MD tried it. A diner from Cherry Hill, NJ tried it, liked it, and rated it . They liked the food, liked the service, and liked the ambiance. A diner from Collingswood, NJ tried it. An American (New) chowhound from Gilbertsville, PA tried it. An American (New) food lover from Newark, NJ tried it. A diner from Ashburn, VA tried it, liked it, and rated it . They liked the food, liked the service, and liked the ambiance. A diner from US tried it and liked it. 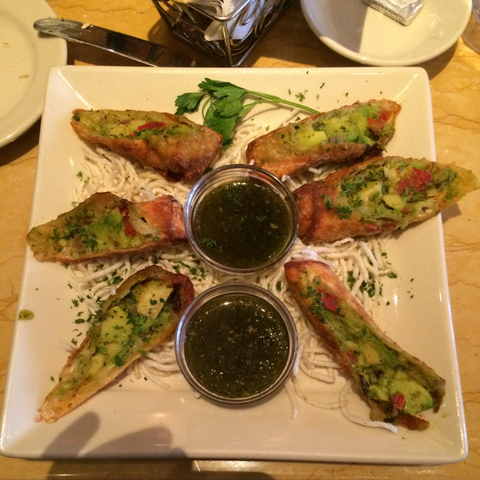 1 review of The Cheesecake Factory, first by AngelIsCool. abesolutely amazing!!! im so hooked on it that i get it every time we go! they make their own dressing, and the caesar has a lemon zing to it that i just love. the portions are enormous and i doubt youll finish it all, but the portion is good for the price! These dishes from the The Cheesecake Factory menu are contributed by Menuism users directly, as part of a restaurant review, or as part of a photo upload. Do you own The Cheesecake Factory? Contact us to connect with your diners. The Cheesecake Factory is located near the cities of Cherry Hill Twp, Golden Triangle, Ellisburg, Westmont, and Haddon. People found this by searching for: Cheesecake Factory Menu With Prices,In Cherry Hill, Nj, The Cheesecake Factory Cherry Hill, Nj, Cheesecake Factory Menu Price List, Cherry Hill Cheesecake Factory, Cheesecake Factory Happy Hour Cherry Hill, The Cheesecake Factory Happy Hour Cherry Hill, Nj, and Cheesecake Factory Menu Prices List.